Far away, in a little town called Whitwell, Tennessee, there is a museum that looks remarkably similar to a circa World War II railcar. Its reason for existence is to teach the world about intolerance. That fact is in itself unique, but for a larger perspective, not 40 miles away from Whitewell is the Rhea County Courthouse, where, in 1925, a teacher was convicted for teaching evolution during the Scopes “Monkey” Trial. The trial upheld a statute which outlawed teaching any theory that denies the Divine Creation. If that were not enough, it is rumored that the infamous Ku Klux Klan was begun just a hundred miles away in Pulaski,Tennessee. The museum project was started as an after-school activity, encouraging students to find creative ways to wrap their heads around the idea of 6,000,000 Jews dying, simply because they were Jews. They chose paperclips as a medium because Norwegians during the war wore paperclips as a symbol of resistance to Nazi tyranny. I don’t think anyone could have imagined the impact this would have, as hundreds of thousands, then millions, of donated clips started to arrive from all over the world. The ‘Paper Clips Project’ extended over several years and in 2001 the school dedicated a Children’s Holocaust Memorial, which includes an authentic German railcar filled with a portion of the more than 30 million paper clips they eventually collected. 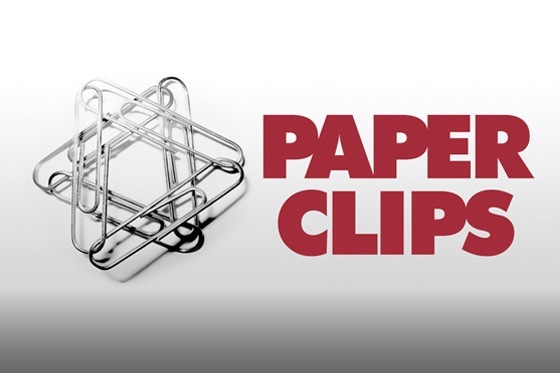 A moving documentary, entitled Paper Clips and originally released theatrically in 2004, captures how these students responded to lessons about the Holocaust and how a committed group of children and educators provided hope and inspiration to countless others around the globe. Between now and April 16th, when we commemorate Yom HaShoa – Holocaust Memorial Day – we are asking everyone to consider bringing one paper clip (or more) to TRT, each time you come to Temple. We have set up large containers in the front lobby, the school wing and in individual classrooms, where some classes have already filled theirs to capacity. We will collect as many as we can, and because we are strong believers in recycling, our art teacher Heidi Neufeld will be helping create a permanent display to remind us continually to resist cruelty, oppression and despotism, in whatever form, against any part of humanity. 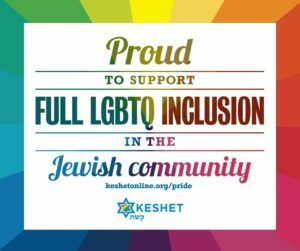 In Pirkei Avot, Ethics of our Fathers, we read, “In a place where there is no humanity, strive to be human.” (Rabbi Hillel, Pirkei Avot 2:5) Sometimes, we all need such reminding. Then, on Thursday, April 16th, from 5-7 pm, we will be presenting the documentary film, along with a short service of remembrance that captures both the sadness and the hope that comes from good people fighting against evil. Please join us. This program (and the school project that leads up to it) is open to everyone in the community, free of charge. All you need to bring is a paper clip.